When India got freedom, the value of the rupee was on a par with the American dollar, since there were no foreign borrowings. But later with the introduction of Five-year plan, the government started external borrowings. This made the depreciation of Indian rupee. Another reason is India made its currency fixed rate regime (fixed rates are those that have direct convertibility towards another currency). It helped US because it knew it would get a predicted value for the goods it exported to India, thus their profits were secured. For India, it leads to inflation. Unlike today where the dollar-rupee fluctuates daily, the fixed rate made the fluctuation almost once a year or once in two years. Later in 1960’s India fought two wars with China and Pakistan, due to which it had drained a lot of money and had built up huge deficits. This forced the Indian government to devalue to currency to 7.57 against the dollar. It rose to 8.4 after the political uncertainty following the assassination of Mrs. Indira Gandhi in 1980.The next round of weakness in the Rupee came in the wake of Bofors scam which toppled Rajiv Gandhi’s Government plunging the Rupee to new low of 12.36 in 1985. 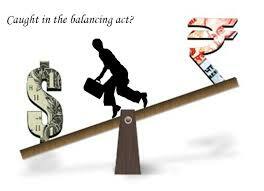 Balance of payments crisis got increased in 1991 and forced the rupee to get devalued. There was high inflation, low growth and foreign reserves which were not even worth to meet 3 weeks of imports and many economic problems in the society. So the Indian currency devalued further. In the twentieth century, it was depreciated to 68 due to many reasons such as Euro zone crisis, Global Financial Crisis. 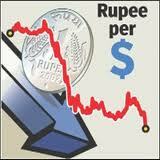 The Indian currency has witnessed a roller-coaster journey since independence. Many geopolitical and economic developments have effected its movement in the last 67 years.